You often understand Life only when it becomes miserable. This is the most amazing truth about Life. It is a revelation, a discovery, that strikes you, dawns on you, when you are in the throes of pain and despair. When everything is going per your aspirations, your desires, you conclude that you are in control, that you are the Master, that it’s all yourdesign. You matter the most to you in these times__times that are popularly labeled as ‘successful’. You do well in academics, land yourself a dream job, get married to a person of your choice – well, you think you managed all of that ‘success’ on your own steam. Because of your brilliance, genius and effort. Undoubtedly, you have worked hard and efficiently. There has been your contribution. But to imagine that the design of your Life was woven by you smacks of ignorance, even if not of arrogance, of the way Life works. I met a successful Tamizh movie director, a very successful man from Chennai, recently. He is smart, intelligent and very creative. He said, “I don’t believe in dreams. I believe in subconscious aspirations, dedicated effort and flawless execution. You make your own destiny.” Poetic words. Makes sense to the rational mind. Except Life doesn’t work like that. A very successful industrialist I know, who went bankrupt and has clawed his way back into reckoning and profits in business, has this learning to share: “When things were going fine, I was thinking it was my leadership, my acumen, my business-sense that were causing my success. When we started losing money and eventually went bust as a business, I found that the same leadership and acumen__mine__were of no use. That’s when I awoke to the reality that Life’s designs are different from my own.” The thing about misery and pain is that it offers a teachable point of view. Always. Trauma is a good transformation agent, a catalyst. There’s no rocket science to why we__you and me__often awaken only when in pain. Life is best understood by asking the right questions. And we pause to ask questions, explore with curiosity, only when we don’t get what we want. Interestingly, the questions we ask beget us no answers. Just more questions emerge. And the more questions we ask, the closer we are to understanding Life. To realize the only truth that Life is, well, inscrutable! The 19th century German philosopher Friedrich Nietzsche says, “To live is to suffer, to survive is to find some meaning in the suffering.” That meaning, when discovered by you in your own unique way, is that you too can avoid all suffering by simply accepting what Life has offered you. When you reach this state of understanding Life you will see how much your pain, your trauma has changed you and helped you evolve! Why “re-believing” in Life and in people is an imperative! After being through a painful episode, “re-believing” in Life may be difficult – but not impossible. It is an imperative too! After the launch of my book, “Fall Like A Rose Petal – A father’s lessons on how to be happy and content while living without money”, readers have been writing in – sharing their Life stories and perspectives. It is beautiful. It is humbling. One reader writes saying her friend has become “commitment-phobic” after he lost money in the stock market 15 years ago, following which his family left him because they lost faith in his ability to provide for them. For several years, the man locked himself up in a room, refusing to come out, refusing to face people and Life. Thanks to some caring friends, he has begun to pick up the pieces of his Life recently. He has found himself a job, but he still struggles with dealing with people and is very, very fearful of the consequences of his choices and actions. “How can he find an anchor, how can he be normal again, leading a Life that’s happy and free from fear,” asks the reader. Any pain in Life can cause trauma and can be debilitating. 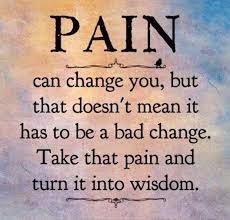 But after the first impact of pain, the suffering that follows is optional – and is always a result of your grief that the pain is there and your desire that the pain must not be there. I have been through such suffering. As I have recounted in my book, when my business failed and I was not able to honor my commitment to repay what I owed my family, my mother called me a cheat. I was devastated. For years I wished that what had happened had not really happened. But through my mouna(silence periods) sessions, I discovered that clinging on to the dead past was futile. I realized that if my mother held such a view, it was based on her perceptions of my reality. I became aware that I could not control what she – or anyone – thought of me. So, when some people – including a few “close” friends – cast aspersions on my integrity or my ability to honor my commitments – I no longer grieve. Nor do I see a need to clarify my position or prove my honesty – not anymore. Nor do I think that the whole world is cold, wicked and insensitive. In fact, I have found the world to be full of beautiful, kind, compassionate, understanding and forgiving people. Those who pass judgment, I have found, are few and I have learnt to forgive them – for, as the Bible says, they know not what they do – and move on. This way, I have learnt to let go of the past and have been able to avoid suffering, even while there is often acute, intense pain. Suffering and fear chew us up. They exist only because we are living in the past even as we keep worrying incessantly about the future. The key is to develop infinite faith in yourself – that despite the odds, despite what others say, you will last this trial and will prevail in the end. Even as the faith in yourself takes root, simply let go of everything that holds you back – forgive yourself and forgive others too! I believe my reader’s friend needs to realize too that nothing can be done to undo the past. We can’t go back in time and turn back the stock market crash. He may be able to make (and recover) his money through other means, but that event cannot be undone. It has happened. It’s over. So it is with his family leaving him. They have done what they have done. No amount of his grieving can change the way they treated him. And because of these experiences if he chooses to be wary of people, he, and only he, is responsible for his suffering. If a few people are unkind to you, it doesn’t mean all of humanity lacks a conscience and is insensitive. In fact, if he lets go of his past, he will find that he’s surrounded by people who care for him – including this reader who’s trying to help him – and who will hold his hand and heart as he rebuilds his Life. In the end, no matter what you are put through, no matter how scarred you are by your painful episodes in Life, no matter how traumatic dealing with pain may have been for you, you, and only you, can stop your suffering. And you can do that by simply leaving the past as it is. Just let it go. Then you will find that “re-believing” in Life and in people is possible. “Re-believing” in Life is an imperative. You can keep avoiding it – but as long as you do that, you will continue to suffer. 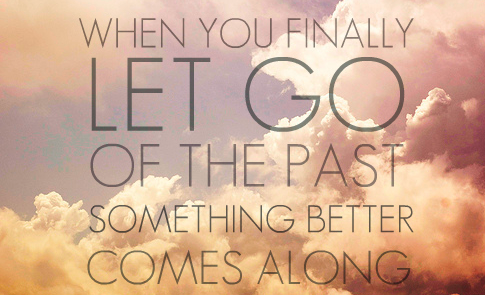 So, let go, “re-believe” in Life and find lasting inner peace and happiness. Author AVIS ViswanathanPosted on August 9, 2014 March 14, 2016 Categories Art of Living, Fall Like A Rose Petal, Happiness, http://schemas.google.com/blogger/2008/kind#post, Inner Peace, Intelligent Living, Re-Believing, Suffering, Trauma, WorryLeave a comment on Why “re-believing” in Life and in people is an imperative!